Your Mac computer may have an operating system that's unsupported by VSee. 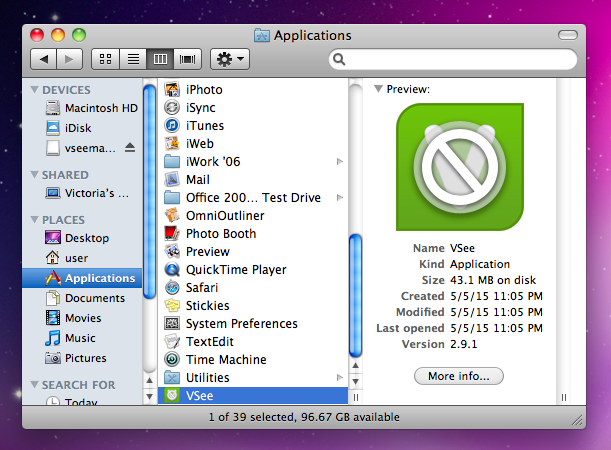 VSee is compatible with OS X 10.7 (Lion) or later. Note: Apple's last security update for 10.6 was in September 2013, and Apple formally discontinued support for this operating system version in February 2014. 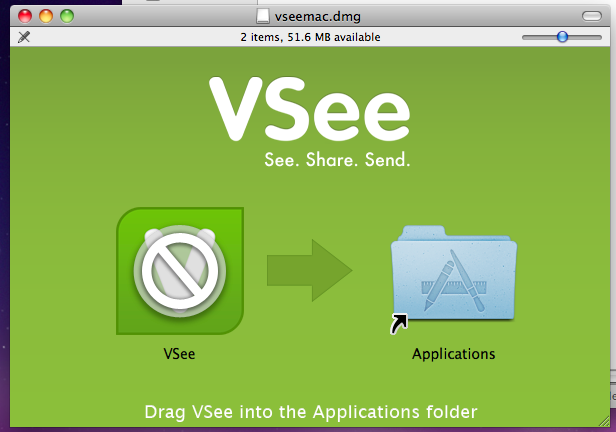 NOTE: As of June 5, 2015, the current version of VSee is still compatible with the version previously installed on computers running OS X 10.6.8, but this support is subject to change at any time. The only way to be sure of continued compatiblity is to upgrade your computer to OS X 10.7 or later. If absolutely necessary in the short-term, you may download an old version of VSee. VSee version compatible with OS X 10.6.8. This article was last reviewed by our Support team on June 9, 2015.